Shop online with 0% Instalments up to 18 months (Maybank)! 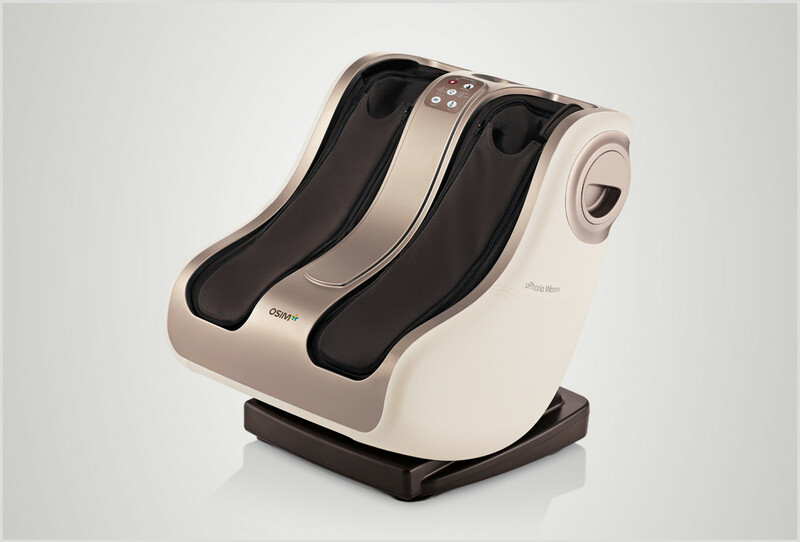 The new and enhanced OSIM uPhoria Warm leg massager combines its signature Tui-Na with specialized leg massage technology to bring warmth, energy and well-being back to your tired feet and legs. Soothing full-leg relief for Ladies who love their Heels! 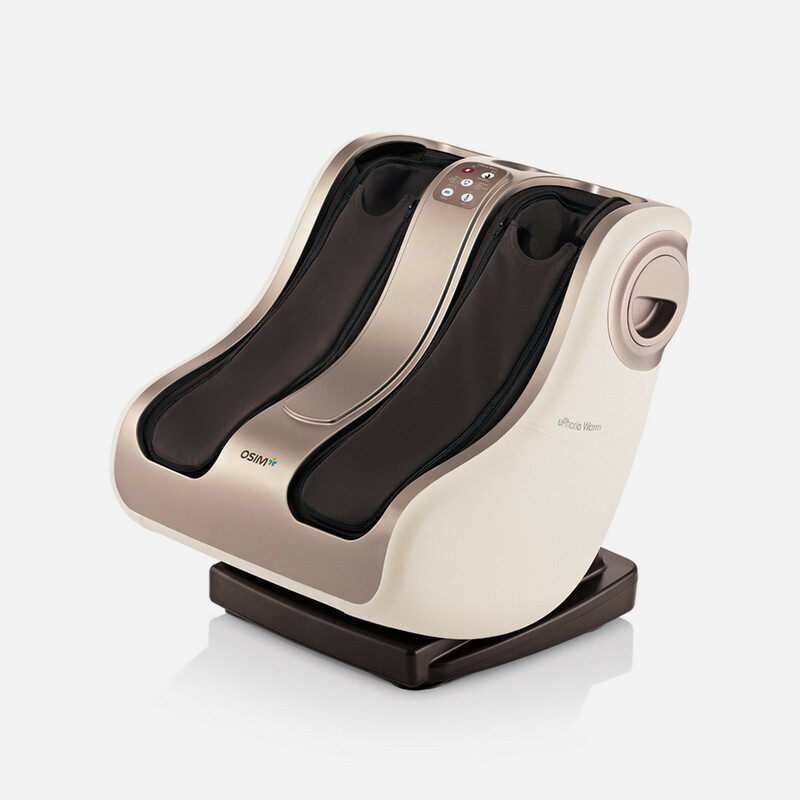 Now fine-tuned to target areas made vulnerable from wearing high heels, the new and enhanced OSIM uPhoria Warm combines its signature Tui-Na with specialized leg massage technology to bring warmth, energy and well-being back to your tired feet and legs after a long day in heels. 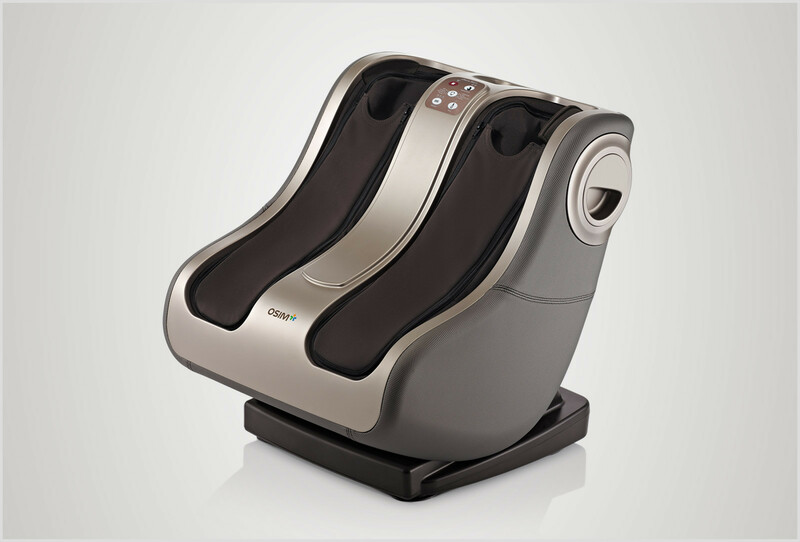 With a suite of specialized lifestyle massage programs like High-Heels and Toning, the uPhoria Warm foot massager is truly the best companion for Ladies who love their beautiful high heels. This program targets the calves, ankles, balls and arches of the feet—points of stress created by prolonged periods in high heels. Helps to strengthen your muscles, improves circulation and prevent the build-up of toxins, leaving them healthier, shapelier and more beautiful. Intense massage actions help to charge up your legs, leaving them reinvigorated and ready to go again. Sensitively programed, the gentle massage actions help to soothe and relax your legs in preparation for bed, allowing for a better night's sleep. Targeting the key meridian and vital reflex points on the legs and feet, for valuable health benefits of a traditional reflexology massage. A perfect combination of massage actions work on the whole leg to help relax tight muscles and relieve deep-seated aches after a long day. Helps to loosen tense muscles and actively promote circulation to enhance the recovery process for muscles used during sports. Specially designed for seniors and users in general who prefer gentle massage stimulation, this program provides soothing relief and comfort. Adjustable to individual leg size and your preferred intensity, the customized width feature creates a unique experience tailored specially for every user. Personalize the massage the way you like it by combining the 'Glide and Knead' manual massage program with the 'Vibration' and 'Warmth Therapy' massage options. Enjoy a quality massage at various angles by adjusting the lock-lever easily and conveniently. The fabric covering the uPhoria Warm can be removed and washed easily for better hygiene. Simply unzip and detach the fabric when needed.